Open Security Research: Forensics Investigations: Do not forget the database! Forensics Investigations: Do not forget the database! by Daniel Caban and Christiaan Beek. 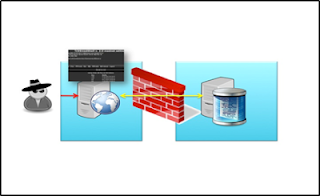 In our investigations it is typical for us to see an attacker use an exploit to first compromise a web server, then launch further attacks against the internal network via a webshell. In the below case the web server was hosting an application that was talking to MSSQL backend which was situated in the internal network. Looking at the scenario described, the same files were acquired from the Database server and, of course, firewall logs. The ultimate goal is to create a timeline where all actions executed by the attacker(s) are mapped in time. By abusing the exploit in the application, the attacker was able to upload his tools including a copy of a webshell that had tons of functionality including the execution of SQL commands towards a MSSQL server. The attacker also compromised one of the user-accounts on the server. Since activity was discovered towards the database server, it would be very interesting to execute a more in-depth investigation towards the database and it’s files. Note: some of these steps were integrated by following the previous mentioned order of volatility list. Since the discovered and uploaded web-shell contained the option to execute and use xp_cmdshell, an investigation was done to find out what happened in the timeframe the attackers were active on the system. Configuration" in SQL Server Books Online. This means that the attacker tried to use the xp_cmdshell but was not successful since the registry setting in the system blocked it. 'xp_cmdshell', see "Surface Area Configuration" in SQL Server Books Online. The value in use ‘0’ meant that the xp_cmdshell was not enabled. Since the attackers had successfully got an account, the option was tested if they could have had the option to enable the xp_cmdshell option. To verify the result the same query was used. The conclusion can be made that the attackers had the opportunity to activate the xp_cmdshell and as a next step elevate their user’s accounts rights towards administrator etc. xp-cmdshell won't work...there is, however, a stored procedure named "xp_cmdshell"